Yes, it’s a silly name (and you’ve all just lost!) but this little card game was nominated for the prestigious Spiel des Jahres award in 2015 which made me curious. This Essen I made a point of going and giving it a try. As the explanation began, my heart sank a little when the word ‘co-op’ was mentioned but we were there so we had to give it a try. The premise is so simple, it is simply a deck of cards numbered from 2 to 99 and all you have to do is discard them onto the correct piles in either ascending or descending order. Easy, right? Wrong! At the start of the game four cards are placed on the table, two marked 100 with a down arrow and two marked 1 with an up arrow. Each turn players must discard at least two of their cards onto a pile with each card being higher or lower than the previous card (higher on the 1 piles and lower on the 100 piles) If you are lucky, you can also ‘bump’ piles closer to the start point as long as it is jumps of exactly ten. Eg. if you have a 54 on the up/1 pile you can drop that to 44. You are allowed to communicate with the other players (it is a co-op after all!) but not allowed to say what you have exactly, so you can ask people to leave specific piles free. 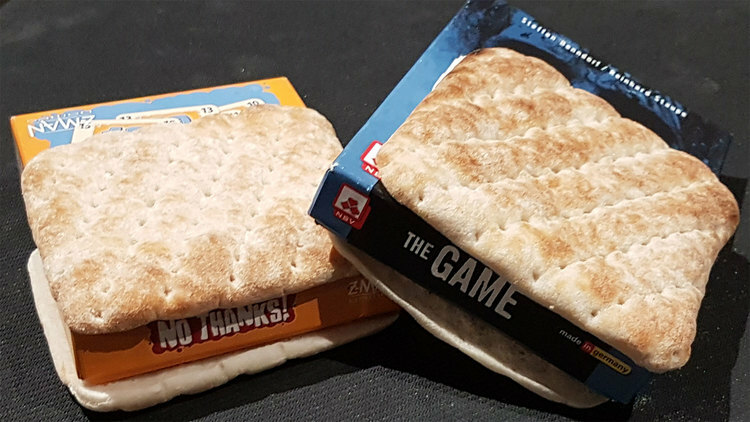 We bought ‘The Game:Extreme’ that adds extra rules like you must play three cards, you cannot talk to the other players etc thinking the base game would be easy and we’d need the extra ‘spice’, however after numerous plays we are yet to complete the game at the basic level! To add an extra element to the game there is a neutral deck of cards which always has four out on display, instead of drawing up from your own deck you may choose to take cards from here instead. This hits the ‘thinky filler’ category for me, so, you can finish that lotus flower giving you seven points, but someone else has the majority so you’re giving them five points, what do you do? The area control element really adds extra depth to this stunning looking game! 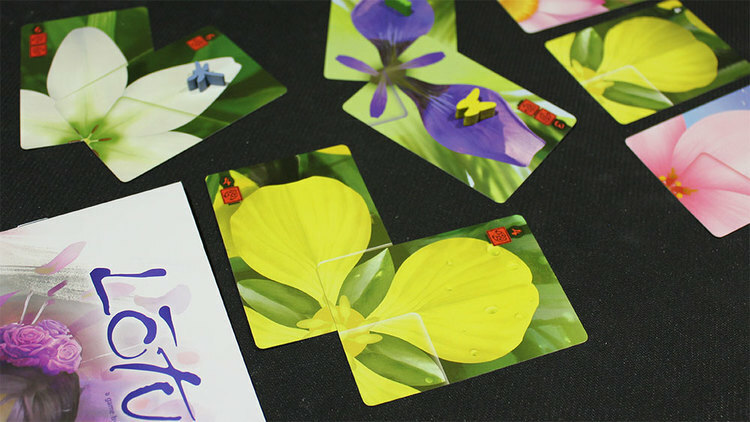 This is a great micro game from Oink games, a Japanese company that make lovely micro games. 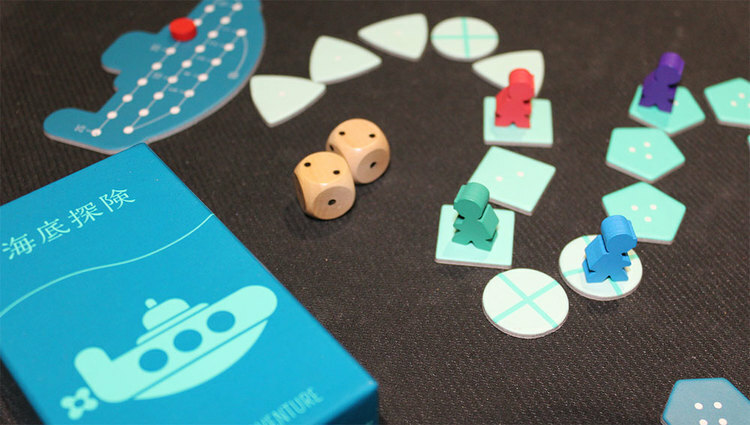 Deep Sea Adventure is a push your luck style game that is a whole lot of game in a tiny box! Players are all divers exploring for treasure in the sea, each turn you will roll two D3s to determine how deep you go and decide if you want to collect that treasure you landed on or if you want to continue to the depths for better goodies (you could even do both!) If you take a treasure it becomes a useless space that hinders everyone's movements. 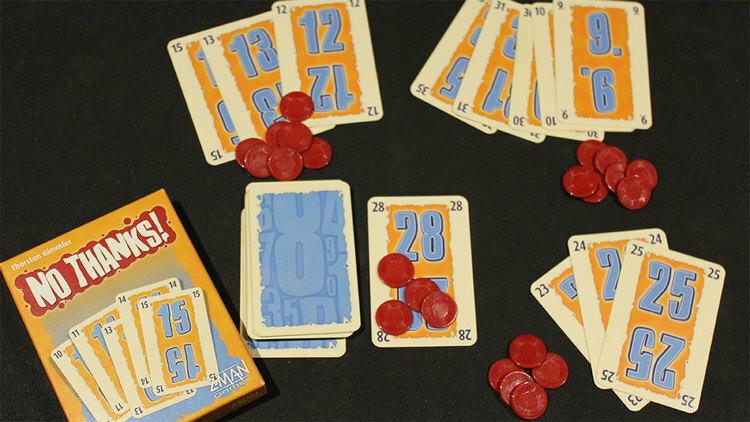 The game is played over three rounds with 25 oxygen assigned to the team each round, every treasure you pick up uses one oxygen and reduces your movement by one. To keep hold of the treasure you must make it back to the submarine with it, else you and your treasure sink to the depths! At the start of the next round, the blank space tiles are removed and any treasure not successfully brought back to the submarine is put at the lowest part of the track in piles of three, making it tempting to go just that little bit deeper next round. This game is equal parts frustrating and hilarious and we have had many games where most (if not all) of us have ended up on zero points after the three rounds, yet we always go back for another game! No Thanks also uses just a deck of numbered cards, this time from 3 to 35. Each turn, you have two options - draw the face up card from the middle, including any chips on it or play one of your chips to avoid picking up that card. 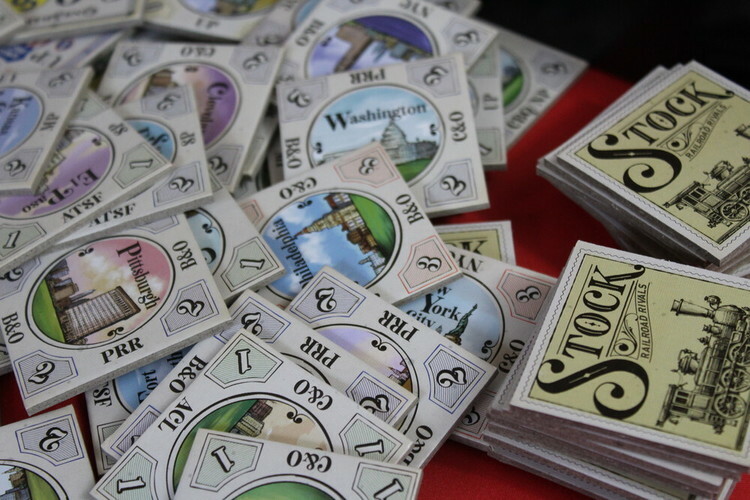 In a reversal of most games, the player to score the lowest wins, however you will score points equal to the face value of cards you have at the end of the game. Runs are only counted for their lowest number, so if you have 8,9 and 10, you will only score 8 points. 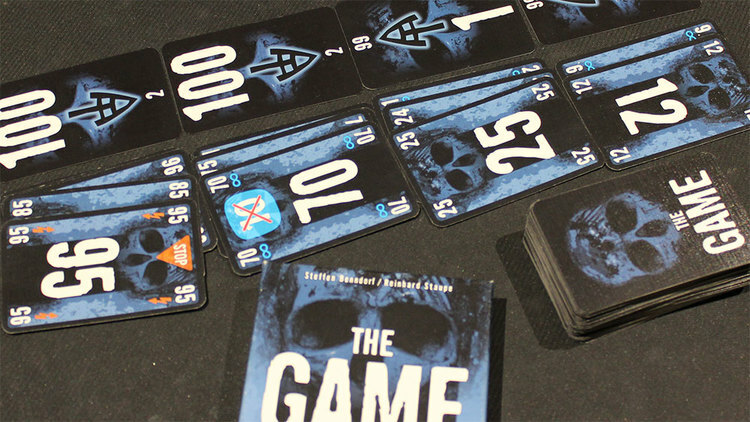 The twist in the tale is that nine random cards are removed from the deck at the start of the game so you can’t really count on any card to connect a run. Each chip you have left at the end of the game is also worth -1 point, however hang onto them as you never know when when you’ll need to say No Thanks to a high value card! This is a great little game that is easily transported and always part of my travelling game box!